Links to valuable resources are listed below. Please click a title to view the website. AARP – This site provides a wide range of information of interest to seniors, including information about AARP; computers and technology; health and wellness; and legislative issues; among others. Administration on Aging – This site provides information on the Aging Network and its activities for consumers, professionals, the Aging Network, and researchers. Recent press releases and AoA programs are highlighted on the home page for easy access. Consumers can use this site to access the ElderCare Locator, for information on accessing community resources for seniors and the National Aging Information Center, for statistical information. Agency for Health Care Research and Quality (AHRQ) – Formerly the Agency for Health Care Quality and Research, AHRQ research provides information on health care outcomes, quality, cost, use and access. Alzheimer’s Disease Education & Referral Center (ADEAR) – ADEAR is a service of the National Institute of Aging. This site includes a large amount of information about Alzheimer’s, including reports, research, a health information database, and a clinical trials database. Publications, including fact sheets, resource information, a newsletter, reports, and training materials, are free online. Center for Disease Control -National Center for Health Statistics – The Fastats A to Z link on this web site will take the user directly to statistics on a wide range of issues, including nursing home care. It also leads the user to more comprehensive data on that particular issue. This site provides access to the statistical information gathered in the National Nursing Home Survey of 1995 and 1997. Center for Health Systems Research and Analysis (CHSRA) – CHSRA conducts research and develops decision support systems to improve long term care and health systems. This site includes information on projects undertaken by CHRSA, including Revision to the Survey Process, OSCAR, Quality Indicators, and the Minimum Data Set. Center for Medicare Advocacy – The information on this site on topics such as nursing homes, home health, and physical therapy is particularly useful for professionals and those familiar with public policy. The Center makes available a number of publications and materials that can be ordered from the site and that are extremely useful to those working on Medicare issues. Centers for Medicare & Medicaid Services – CMS (formerly HCFA) is the federal agency that oversees the survey and certification of nursing homes and continuing care providers. This site provides direct links to specific information on nursing homes, such as manuals, guides, state operation manuals, and fact sheets on issues such as nursing home inspections, paying for care, and residents’ rights. Consumer Consortium on Assisted Living – CCAL is a national consumer focused organization that works collaboratively with a broad spectrum of people and organizations supporting quality Assisted Living as an essential option in long term care. Contains a good and easy to read checklist of questions to ask when choosing an assisted living facility. Direct Care Alliance – The Direct Care Alliance is a coalition of consumers, workers, and concerned providers formed to improve the quality of care for consumers through the creation of higher quality jobs and working conditions for direct-care paraprofessional workers. Families USA – Families USA is a national nonprofit organization dedicated to the achievement of high quality affordable health and long term care for all Americans. This site provides up-to-date information on a wide variety of health care issues including Medicaid, managed care, children’s health, and the uninsured as well as action steps and resources for those wanting to get involved in advocacy. Family Caregiver Alliance – An information center on long-term care and caregiver resources. FCA offers assistance to caregivers and focuses on education, services, research and advocacy. Federal Interagency Forum on Aging-Related Statistics – The site makes the following report available: Older Americans 2000: Key Indicators of Well-Being. This report covers 31 key indicators of aspects of the lives of older Americans and their families in population, economics, health status, health risks and behaviors, and health care. General Accounting Office (GAO) Publications – The General Accounting Office is the investigative arm of Congress. Through this website, you can access independent, non-partisan studies and reports about nursing homes and other topics of interest. 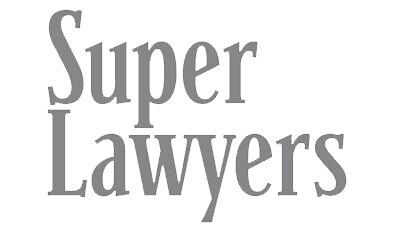 Legal Services – This site provides contact information for the legal services office in your area. Local legal services programs offer legal assistance with residents’ rights or Medicare and Medicaid problems to financially eligible clients. National Center on Elder Abuse – This site includes fact sheets on elder abuse, abuse reporting information, the latest news and features of the center. It also contains a listserve and information about their clearinghouse and publications. National Family Caregivers Association (NFCA) – NFCA is an organization which supports family caregivers through education and information, support and validation, public awareness and advocacy. National Senior Citizens Law Center (NSCLC) – This information and materials on this site are specific and most useful for legal services attorneys or public policy specialists. The site contains an online library of periodicals, manuals, and articles, information about NSCLC’s services, and press releases about current public policy issues. Nursing Home Compare – This site includes information about nursing homes (certified by Medicare and/or Medicaid), including number of beds, facility address, type of ownership, information on resident conditions, staff levels, and inspection reports. The site includes national and state averages of resident conditions, staff levels, and facility deficiencies for comparison. Office of Inspector General – Evaluation & Inspections (OIG/OEI) – The OIG/OEI conducts evaluations of programs within the Department of Health and Human Services, including the Health Care Financing Administration that oversees the public funding, inspection and certification of nursing homes. This site provides access to their evaluations and reports. Fraud Alerts and a fraud and abuse reporting hotline are also available through this site. National Citizens’ Coalition for Nursing Home Reform (NCCNHR) – consumers and advocates who seek to define and achieve quality for people with long-term care needs. Medicare.gov: Nursing Home Compare – the primary purpose of this site is to provide detailed information about the performance of every Medicare and Medicaid certified nursing home in the country. Medicare.gov: Nursing Homes – provide information relating to Medicaid and Medicare certified nursing homes throughout the United States, including information on payment and patient rights and a nursing home checklist. OSHA Safety and Health Topics: Nursing Homes – fact sheets, guidelines, directives, news releases, and other information for a safe environment in nursing homes and personal care facilities. Eldercare Options – features information on senior nursing homes and other elder care resources and service providers.